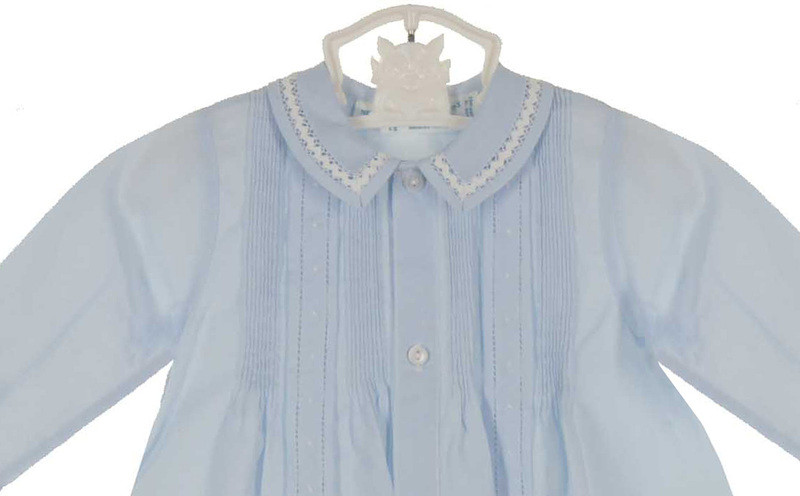 Hand made in the Philippines by Feltman Brothers, this lovely blue cotton blend batiste daygown features tiny pintucks and fagoting on the chest. 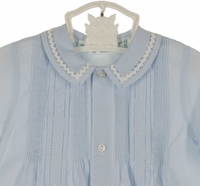 The collar has fagoting and white rick rack trim. 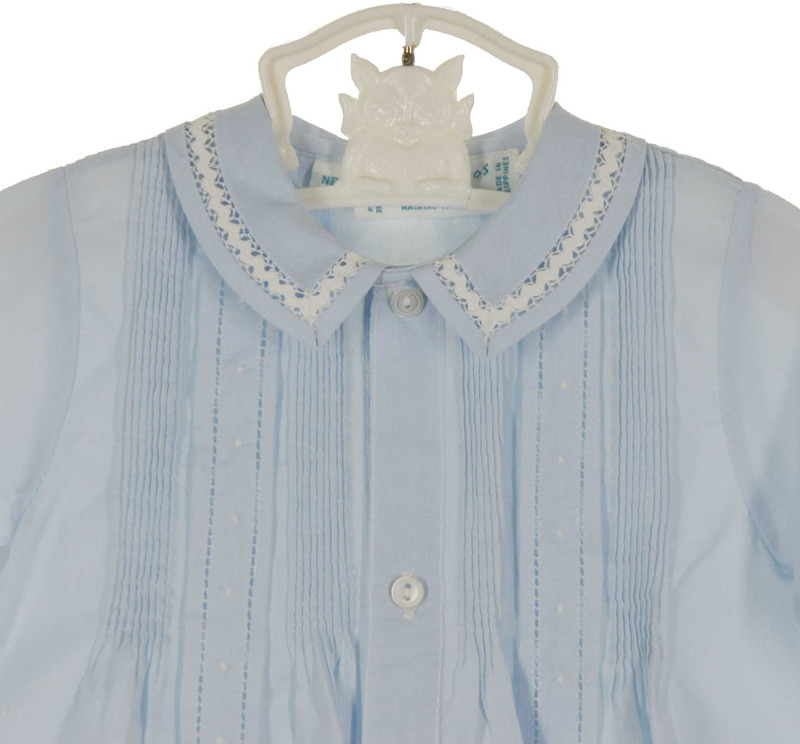 The long sleeve cuffs are trimmed with fagoting. 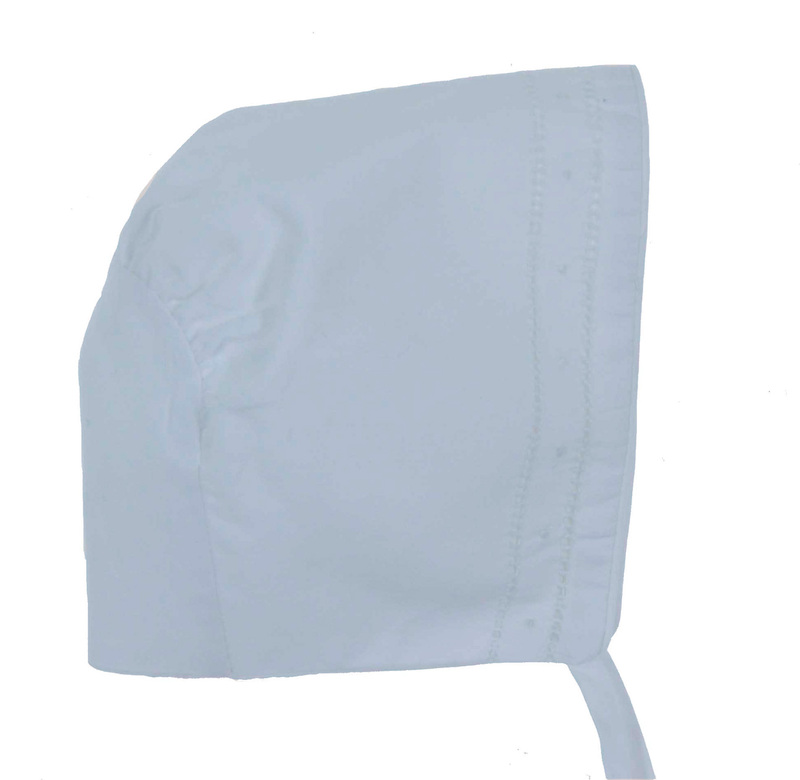 An elasticized hem finishes the gown. 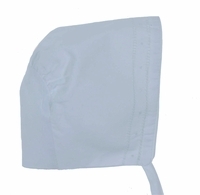 The matching blue hat has white embroidery and fagoting. 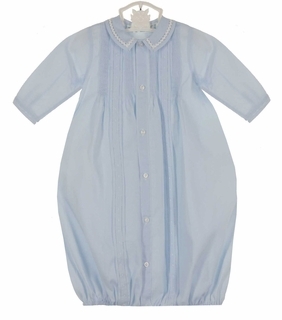 This adorable daygown is perfect for a baby shower gift or a special take home outfit for your baby boy.